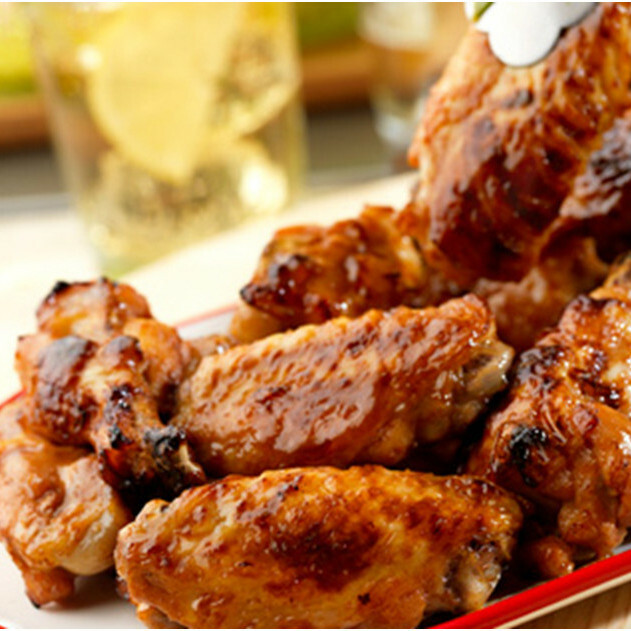 These succulent chicken wings coated in a tantalising sticky glaze are perfect for family dinners and even better when cooked on the barbecue. Preheat the oven at 200°C (gas mark 6). Stir the vegetable juice, honey, soy sauce and ginger in a large bowl. Cut the tips off the wings and discard or save for another use. Cut the wings in half at the joints to make 24 pieces. Add the wings to the juice mixture and toss to coat. Place the chicken mixture in a foil-lined shallow baking tin. Bake 45 minutes or until glazed and the chicken is cooked through. Keep turning and coating with the sauce during the last 15 minutes of baking time. Serve as a delicious appetiser, as a part of a main meal or as brilliant barbecue food.